Learn the secrets of the souks as you discover how to make stunning Moroccan dishes to wow your friends, and recreate at home with ease. Come and lose yourself in the Scents of the Souk, as we spend a morning cooking up a storm in North West London! 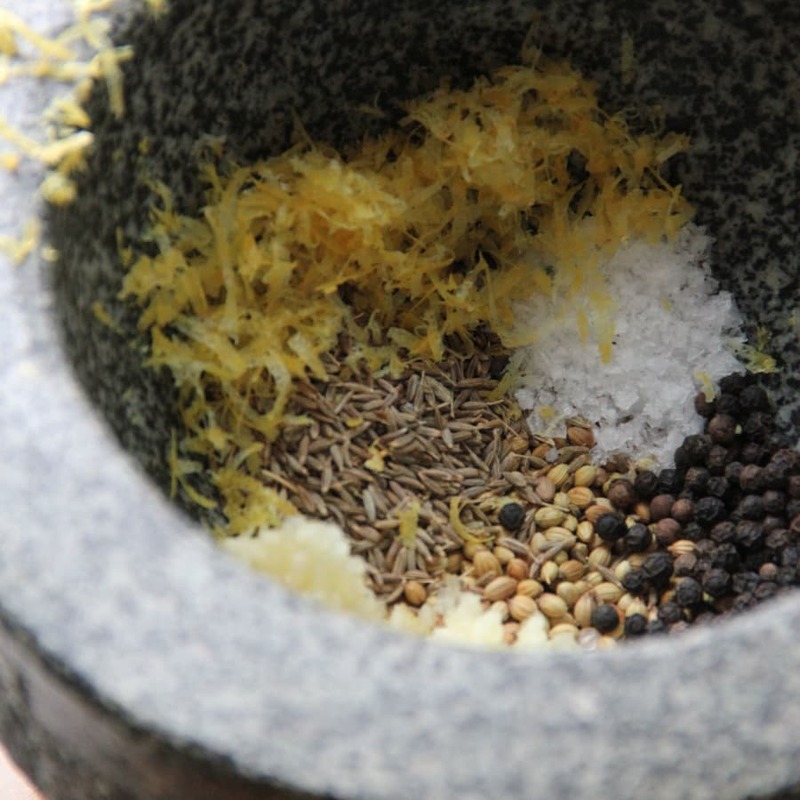 By the end of the session you will be familiar with many staple Moroccan Ingredients, and create your very own Harissa from scratch to take home. Learn the secret to getting pomegranate seeds to surrender easily from their skins, and get to grips with a pestle and mortar and a whole lot of chillies, as we grind fresh spices and fill the air with the aromas of North Africa. Everyone gets to roll up their sleeves and get their hands dirty. You can sit and enjoy the fruits of your labours with your fellow students after the class, or feel free to take a portion home if your time is restricted. Laura’s classes are brilliant. So much fun! She is a fantastic teacher, and it’s all done in her amazing teaching kitchen at home. She taught us a number of very do-able and completely delicious dishes - the sorts of things that you’d want to cook again at home (and which I have done, much to the delight of my husband!). It’s a great way to spend a few hours with friends. We had a great day, and I can’t wait to do another class soon. I am far from being a gourmet cook, but this class sounded so intriguing. It was way beyond my expectations.! Laura is a distinctly awesome teacher with amazing patience and a delightful sense of humour. The Teaching Kitchen is superbly designed to do just that....TEACH. Others in the class were more proficient than me but I never felt intimidated, just encouraged by the Professional Chef and also by the delightful classmates. No matter what level of expertise individuals had, I noticed Teacher Chef taking time with everyone. I left, not just having had fun, but having learned new skills, recipes and met lovely people. I can't wait to return to Heirlooms and Wooden Spoons. A great experience. What a venue! Laura invites you into her wonderful kitchen which is both professional and cosy. Laura creates a warm relaxed environment as she has a very calm and knowledgable delivery of all you need to know. I came away feeling very proud of all my achievements and xan’t Wait to try another course very soon. Highly recommended! The venue is absolutely gorgeous and Laura is so lovely as well as being an amazing and inspiring teacher. I was also easily able to replicate the meal I learnt and impress at my next dinner party! The Heirlooms & Wooden Spoons Teaching Kitchen is situated in a stunning, light-filled residential space in North West London. Laura likes to create a relaxed and accessible atmosphere in which to learn, whilst ensuring the school is fully equipped with the highest quality kit and ingredients. Classes are kept to a maximum of 6, ensuring high student to teacher ratio and ensuring classes are intimate and relaxed. 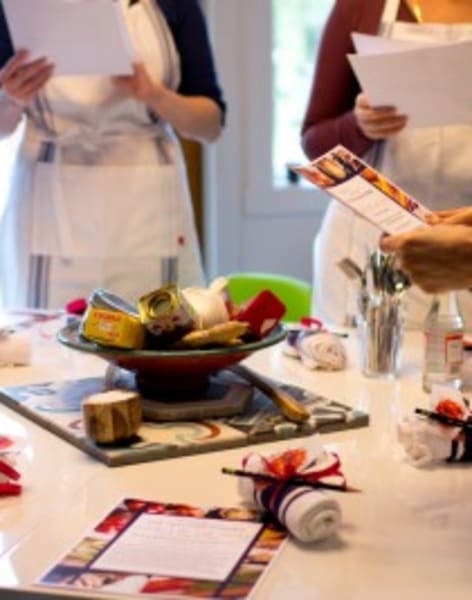 Laura is a joyful and irreverent teacher, and she strives to maintain a calm and fun environment in which to learn, whilst imparting professional knowledge and genuine chef tricks and tips. 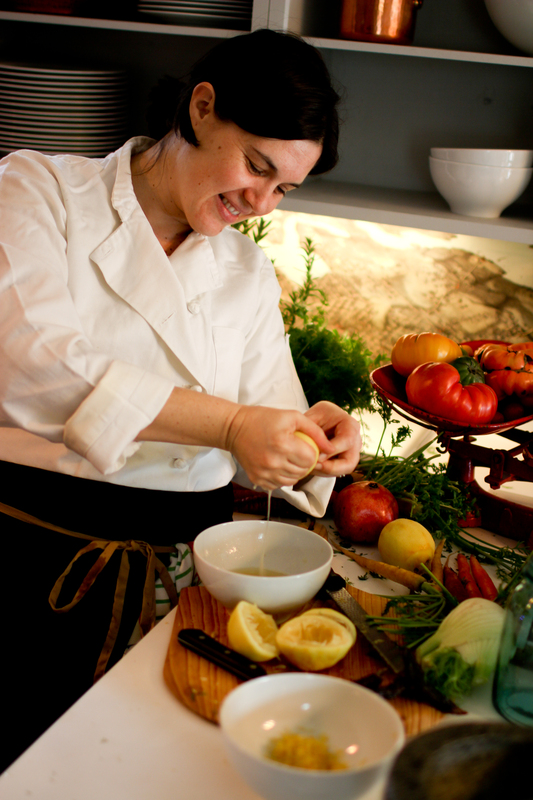 She has worked in the industry both as a chef and as a teacher in London, Singapore and the US. In addition, her experience as an instructor at the Culinary Institute of America makes her uniquely qualified to teach, and gives her an interesting perspective on food history as well as food future, the ethics of eating, and a particular personal interest in vegetarian and vegan recipes. Laura's fascination with forgotten skills and vintage kitchenalia seeps into many of her recipes and techniques. She is forever finding antique equipment and tableware, and often uses vintage items and long forgotten techniques in her classes. Laura believes that your hands are your greatest tools, so be ready for a truly immersive class (not just demonstrations). 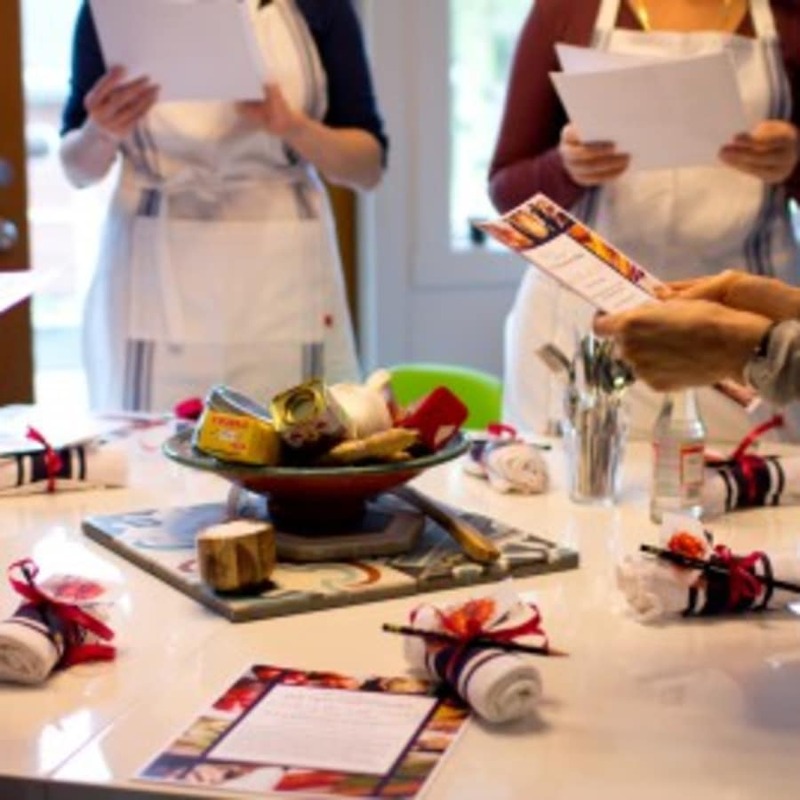 Unless otherwise stated, all classes are hands-on, and you will get to make and taste everything. Each class is designed to finish with a meal to be enjoyed with your fellow cooks, or take your creations home to share. Regardless of experience, you will be challenged and inspired to return home with renewed confidence, and new friends! Note 1: By purchasing this class you are confirming that you understand that you will be working with potentially dangerous kitchen equipment and that you waive any and all rights to make claims for any injury or accident sustained. Note 2: Please ensure you arrive on time (but not too early as we will be setting up)! I can highly recommend grabbing a coffee at one of our lovely nearby cafes if you arrive early!